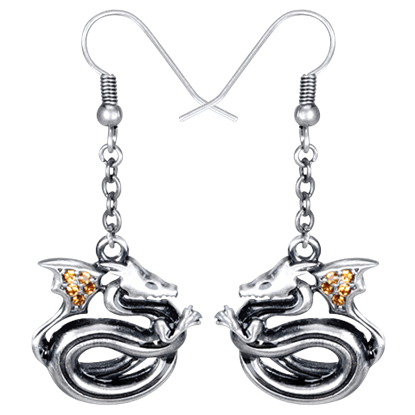 Keep a touch of dragon magic close by when you wear our dragon earrings. 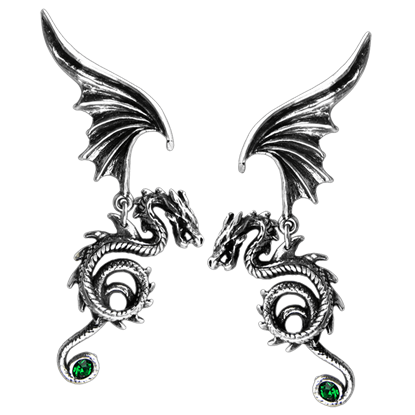 We have quite a selection of dragon earrings in this category, from jeweled dangle earrings to dragon earring studs, dragon ear climbers, dragon ear cuffs, and more. Check out medieval dragons, Viking dragons, and Celtic knot-style dragons all formed into unique dragon earrings that will elevate your fantasy look. 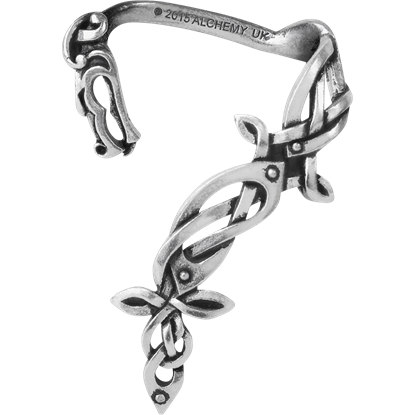 Whatever style of dragon you prefer, you are sure to find it here, and in high quality materials like sterling silver, white bronze, and more. 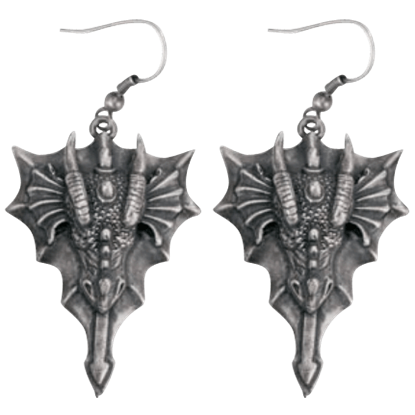 Most of our dragon earring styles require pierced ears to wear. Whether you are looking for a subtle staple to your everyday look or some dragon statement earrings, you will be pleased with our selection of dragon jewelry here. 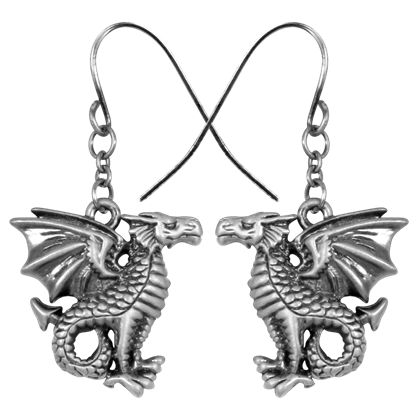 These fearsome dragons are sure to give you confidence and strength every time you wear them. Fly confidently into the world with the Clawing Dragon Earrings, which add a spark of magic and fantasy to any look you might wear. Dragons are notorious for their love of treasure, and this one cannot help but flaunt the enormous crystal it has claimed! 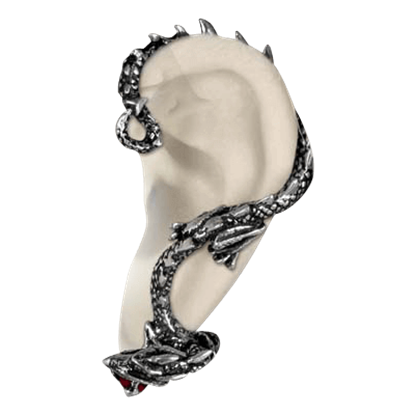 This Crystal Dragon Single Ear Wrap is a way to bring fantasy to your attire, no matter what the occasion. Your wardrobe has been needing something new and daring, so why not consider the Dragon Head Earrings? This set will impress all of your friends and family with the medieval fantasy influences that can enhance any outfit easily. Few weapons can match the raw power of a dragonfire. 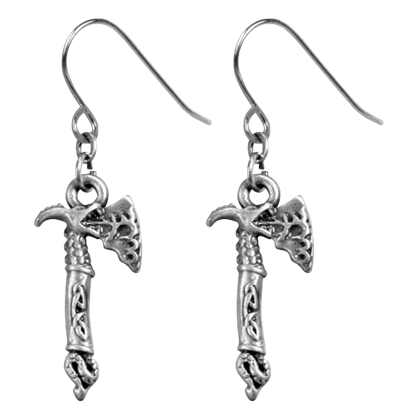 These Fire Dragon Axe Earrings make a good showing, though. By taking the shape of a dragon and an axe, they create the appeal of a weapon blended with the power of the dragon. Fans of the manga Fairy Tail can appreciate the Igneel Dragon Earrings, designed after the Flame Dragon King. 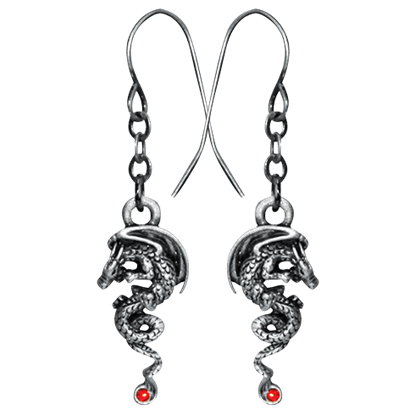 These dangling earrings show the dragon with a curled body and red accent at the tip of its tail. 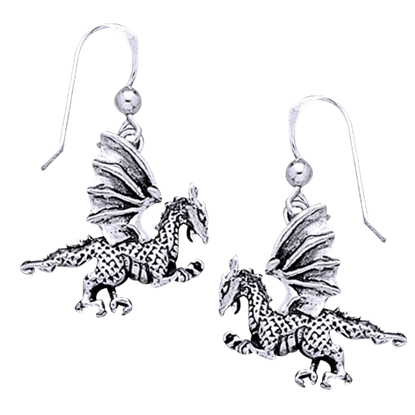 Let these elegant little dragons adorn your ears. 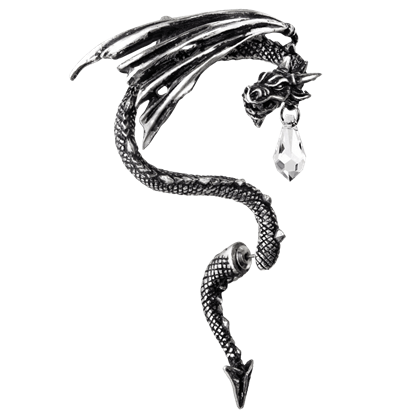 Made of pewter, the Jewel Wing Dragon Earrings are designed to resemble serpentine wyverns, and feature a swirling design suitable for both casual fashion and special occasions. Dragons are impressive creatures in Celtic lore as symbols of power and wisdom. 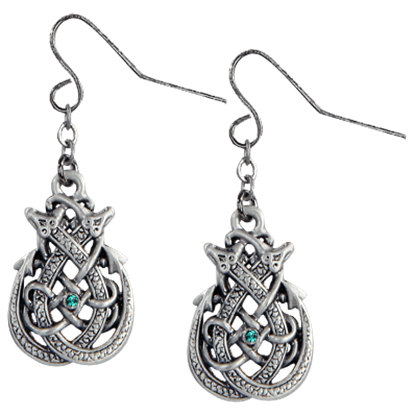 The Knotted Celtic Dragon Earrings embrace these beings in a twisting design featuring a green crystal accent at the center. In the Hebrew scriptures, the word Leviathan meant a monstrous creature such as a dragon. These epic Leviathan Earrings look every bit the legendary part of the ancient creature. Given their covetous and mystical nature, many dragons amass hordes of wealth and treasure. 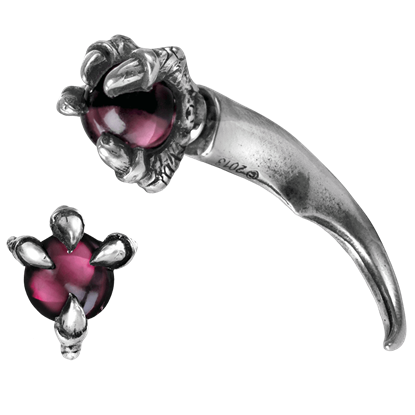 This Orb and Dragon Claw Ear Stud is no different, depicting a traditional dragon claw as it clutches at a lovely and valuable looking sphere. If you can wear a power suit, a power tie, or a power skirt, then why not power jewelry? This Oriental Dragon Ear-Wrap is a solo accent that brings a touch of exotic and mythic power to your attire, as well as fantasy style.